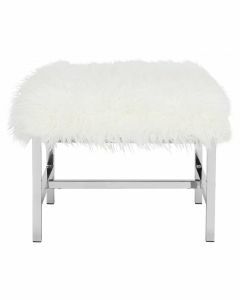 This chic Faux Sheepskin X-Square Bench was designed for the modern taste maker. 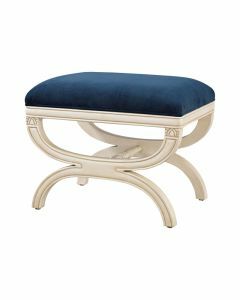 Enveloped in a rich gold foil finish and white faux curly sheepskin, its classic style makes it ideal for seating in the living room, bedroom or a powder room in need of instant élan. 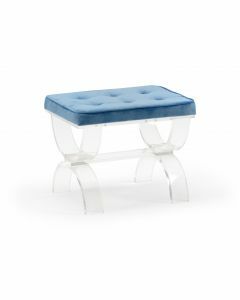 It measures 20" x 20" x 18”; seat measures 20" x 20" x 18.00”. Click on images for greater detail.